Owing to our technical prowess, we have surpassed the competition by fabricating huge range ofHeavy Coconut Scraper. Widely demanded by industrial kitchens and food and beverage industries, this high performing coconut scraper is all stainless steel construction. Equipped with powerful blades and high capacity motor this machine scrapes coconuts in minutes. 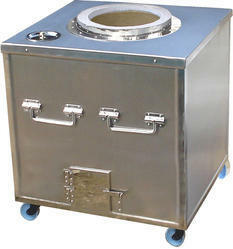 We have firm allegiance in manufacturing and supplying high in demand MS Tank Tandoor. Ideally suitable for industrial and commercial kitchens, this equipment is widely demanded for baking with the help of concrete material and thermal insulation installed inside. 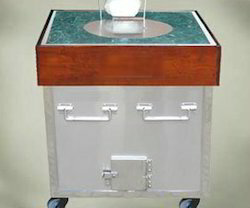 Developed from bulge resistant mild steel sheet, this tank Tandoor is features ash lay out opening to make the task of baking user friendly. 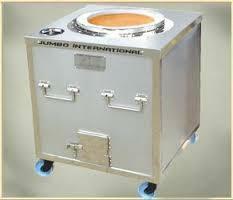 We are dedicatedly to continuous offering an extensive range of superior quality Stainless Steel Tandoor. 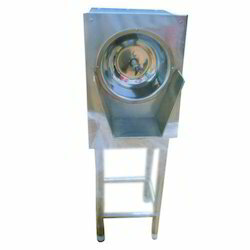 Our ranges of Stainless Steel Tandoor are known for their excellent quality, dimensional accuracy, and longer service life. Our entire products are widely appreciated among our clients for their superior and excellent performance. Our range is thoroughly checked by the team of experts in order to ensure that these products are safe to use and perform without any flaws. It is superb in designing and dimensionally accurate in every aspect. Our offered products are widely applauded in the market. 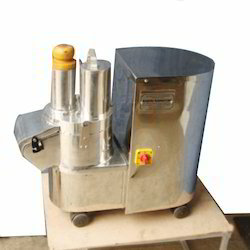 We are highly experienced manufacturers and suppliers best known for the quality of our developed Heavy Duty Vegetable Cutting Machine. Our offered vegetable cutting machines are widely demanded for hotel and restaurant use, as it efficiently chops vegetables in wide range of shapes including cubes and threads. Developed with premium grade steel, this machine operates the function of slicing, dicing and cube cutting for a longer service life.